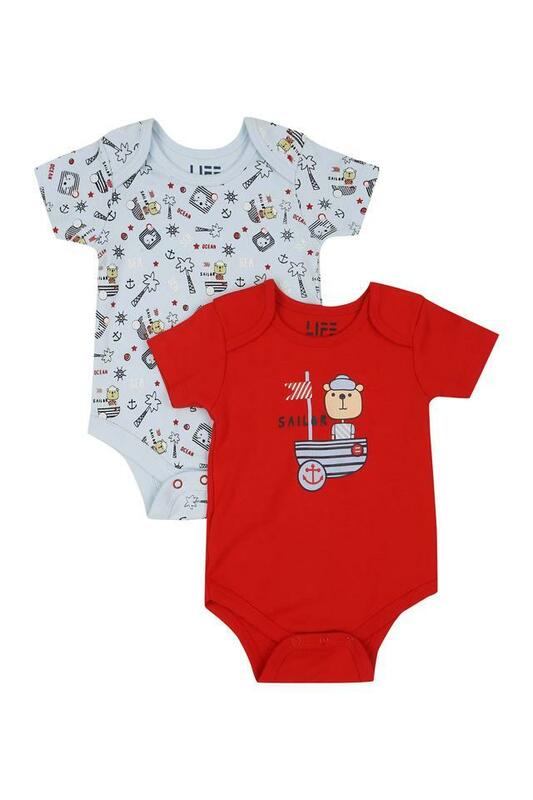 Life presents this exquisite pack of two babysuits for your adorable kid. Made of a fine quality fabric, it is quite comfortable to wear. On the other hand, the print pattern along with the envelope neck lends the attire a cute appeal. The half sleeves further add to the look. Refresh the clothing collection of your little one with this pack of two babysuits. Made of a fine quality fabric, this trendy attire can be worn on a regular basis.